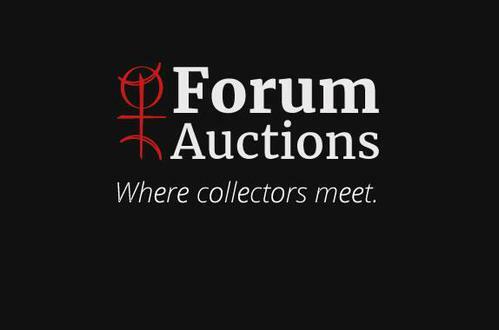 Gratulatio ad Pium II pro foelici, ac secundo ex Mantuana peregrinatione reditu. Dialogus de optimo vitae genere deligendo. De monachis erudiendis. Illuminated manuscript on parchment, in Latin. Aliotti, Girolamo (1412-1480). Gratulatio ad Pium II pro foelici, ac secundo ex Mantuana peregrinatione reditu. Dialogus de optimo vitae genere deligendo. De monachis erudiendis. Illuminated manuscript on parchment, in Latin. [Florence, 1460]. 253 x 181 mm. II + 139 + II leaves. COMPLETE. 14 quires. Collation: 1-1310, 1410(-1) (lacking the last blank leaf). Unfoliated. Blanks: fols. 2/10r, 14/8v, and 14/9r-v. Catchwords written in the center middle of the last page of each quire except quires 2 and 4. Text block: 164 x 90 mm, one column, 28 lines. The first capital letter of each sub-chapter set out. Ruled in brown ink. Text written in brown ink by a unique hand in formal humanist script. Headings and names of interlocutors in pale red ink. Two illuminated coats of arms of Pope Pius II (see below), numerous gold and whitevine initials (see below). Five one-line blue paragraph marks on fols. 2/8v, 2/9r, 2/10v, and 4/10v. Early twentieth century German blind-tooled pigskin over wooden boards. Spine with four raised bands, marbled flyleaves, gilt and gauffered edges. Upper joint skilfully repaired. A well-preserved manuscript. First leaf slightly soiled, four small round wormholes in blank outer margin of the first leaves reducing to one and then disappearing. A few marginal stains; old repair to the lower blank margin of fol. 14/3. Illumination: fol. 1/1r: papal coat of arms of Pius II Piccolomini (55x109 mm) in shield in the bas-de-page, in blue and gold embellished with floriated extensions in red, green, purple, and gold;- fol. 2/8r: large miniature (112x78 mm) bearing at the centre the coat of arms of Pius II in burnished silver, blue, and gold surmounted by a white and gold mitre and surrounded by a laurel crown held by two winged putti; the background is coloured in red and patterned in white, while the white-vine border and the putti are in blue, red, and green; attached to the miniature is a three-line gold and white-vine initial (18x19 mm);- 5 four- to six-line gold and white-vine initials (34x31 mm) in blue, red, and green;- 14 smaller gold initials (18x13 mm) variably mixing blue, red, and green for the ground with patterns in white. 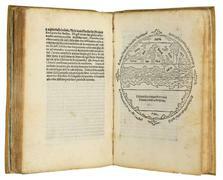 Provenance: Enea Silvio Piccolomini (1405-1464), later Pope Pius II, gifted by the author; ‘Dr. Adolph […]horn', small round stamp on title-page, repeated on fol. 14/8r; Moritz Diesterweg (1834-1906), publisher and bookseller in Frankfurt: pasted envelope on the first flyleaf verso, housing half a card from Diesterweg with some pencilled notes (‘Pius II Aeneas Sylvius Piccolomini in humanistischen Minuskel geschrieben, sehr guterhalten') and a folded piece of thick paper bearing several pencilled notes on both sides (side A: ‘Hieronymi Aretini monachis eruditis gehört Papst Pius II 1440. Dedicationexempl. Manuscript auf Pergament in humanistischen Minuskel 2 Teile nebst Einleitung u. Widmung am Papst Eugen IV (Aeneas Silvio Piccolomini) mit 19 blauen Initialen, 2 Bordüre auf 1 Blatt, 1 schönes Kopfstich mit Papstwappen in 4 Farben'; side B: Mk 900- Widmung an Papst in Hexameter in einen gepresste neueren Holzband. Vollständiges als das Exemplar in der Libreria Vaticana segnanto [sic] del num. 1063 139 Blatt. 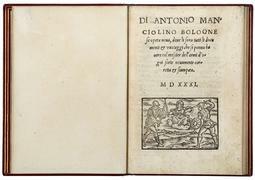 Aretino Girolamo Abate di Santa Flora Allen Maggs - Breslauer, R. - H. Rosenthal L. Bibl. Vatic. Hiesermann'). 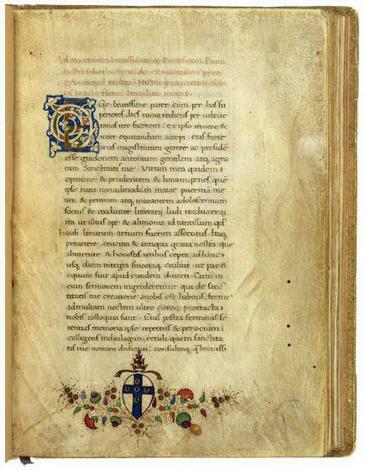 A deluxe illuminated manuscript offered as a gift by the Aretine abbot and humanist Girolamo Aliotti to Pope Pius II Piccolomini, produced in the Florentine workshop run by the ‘king of booksellers' Vespasiano da Bisticci and narrating a fascinating tale of patronage. Girolamo Aliotti, a native of Arezzo and, from 1446, Prior of the Benedictine monastery of St. Flora and St.Lucilla, was a zealous self-promoter who regarded his literary production as a “monnaie d'échanges defaveurs” (C. Caby, Autoportrait d'un moine en humaniste, p. 298). He had become acquainted with the Sienese humanist Enea Silvio Piccolomini (1405-1464) – one of the most interesting and multifaceted figures of the Italian Renaissance – in the early years of their common training at the Gymnasium in Siena. Piccolomini was a diplomat as well as a prolific writer, having also composed love poetry and prose, and in1442 was crowned poet laureate by Emperor Frederick III. He was elected pope in 1458 and took the name of Pius II, a reference to ‘pious Aeneas', the hero of Virgil's epic: in this context, his phrase Aeneam suscipite, Pium recipite, i.e., ‘Reject Aeneas, accept Pius' is well known. Aliotti decided to try his luck. At the beginning of 1460, he learned that the pope intended to sojourn in his hometown of Siena; he promptly set to writing the Gratulatio ad Pium II pro foelici, ac secundo ex Mantuana peregrinatione reditu, and decided to commission, as a gift for the pope, a luxurious manuscript containing this laudatory text along with two other works, his Dialogus de optimo vitae genere deligendo and the well-known De monachis erudiendis. No expense was spared in preparing this manuscript for its illustrious recipient. From his maternal uncle –the wealthy wool merchant Paolo di Nanni Spadari – Aliotti had received the sum of 70 florins to finance his travel to Siena and for the production of a codex for a Pope. As attested by sources preserved at the Archivio Capitolare in Arezzo, and especially by Gabriele Maria Scarmagli's manuscript Synopsis Monumentorum SS. Florae et Lucillae, the transcription of texts and illumination were commissioned to none other than the Florentine cartolaio or bookseller Vespasiano da Bisticci (1421-1498), an established and internationally renowned figure in the production of illuminated manuscripts who counted among his clients kings, popes, cardinals, and bishops, in addition to a number of eminent (and affluent) scholars throughout Europe. Aliotti's account book transcribed by Scarmagli – and now lost – reports the sum payd already on 2 January1460, and possibly in advance to Vespasiano “quando fece scrivere il Dialogo al papa, per la miniatura” (G.M. 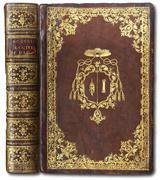 Scarmagli's Synopsis Monumentorum SS. Florae et Lucillae, p. 943), i.e. for the copying and illumination of the Dialogue commissioned as a gift to to Pope Pius II: precisely this newly discovered manuscript, which scholars had believed to be no longer extant. The manuscript is a total work of art: the parchment employed is of the highest quality, the script is extremely elegant and accurate, the page layouts are spacious and light, the fine white-vine initials opening each works as well as Piccolomini's illuminated coats of arms are executed with exquisite taste. A still unidentified but very talented humanist scribe was responsible for the transcription of the texts, while the two papal crests – and especially the larger one, held up by two winged putti (fol. 2/8r) – were doubtless executed by one of the illuminators most closely associated with Vespasiano; they are possibly to be attributed to Francesco di Antonio del Chierico (1433-1488) or his workshop, as suggested by the similar decorative elements and nuance in colour handling and composition. Through Vespasiano da Bisticci, Francesco di Antonio del Chierico came to work for several princely patrons, including the Medici family, Federico da Montefeltro, Duke of Urbino, Louis XI, King of France, and Matthias Corvinus, King of Hungary. On 5 February 1460 Aliotti travelled to Florence to collect the illuminated manuscript commissioned; a few days later he arrived in Siena, riding the horse he had purchased with his uncle's money and, to enhance his prestige, with a chaplain and two monks in tow. In the aula pontificalis he could finally meet Pius II, and offer him his precious manuscript gift. The manuscript opens with the Gratulatio ad Pium II, written in the form of a fictional dialogue between the pope's nephew Guidantonio Piccolomini and Aliotti himself. The conversation concerns an especially pertinent topic of the time, and one of Pius II's highest priorities, the crusade against the Ottoman Turks, who had conquered Constantinople in 1453. Though the pope's efforts ultimately failed, Aliotti's Gratulatio contains an unbounded defence of his old friend's intended crusade, and ends with a 78-verse poem in praise of Piccolomini and his plea for Christian unity. 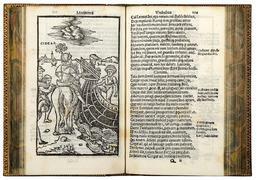 The Gratulatio thus offers some of the earliest documentation of Western, Christian interest in modern Turkey, written by Aliotti just seven years after the fall of Constantinople, as well as an interesting and yet understudied piece of evidence regarding the attitudes of Western intellectuals toward the Turks, along with the Renaissance perception of crusading more generally. 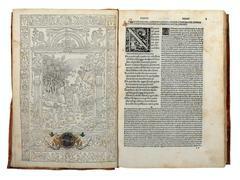 Until the discovery of this ‘original' version, the text of Aliotti's Gratulatio was testified by a miscellaneous codex dated a year later to 1461 and preserved in the National Library of Florence (cod. Magl. XXI.151).The other two works in the present manuscript – the Dialogus de optimo vitae genere deligendo and the De monachis erudiendis – are likewise part of Aliotti's strategy to ingratiate himself with Pope Piccolomini. 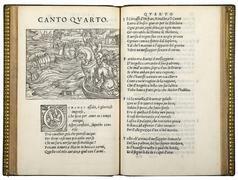 Both were composed in the 1430s and were addressed by Aliotti to other patrons in order to win their favour; in 1460, each work was reintroduced by four dedicatory verses to Pius II, written on the verso of the preceding leaves. 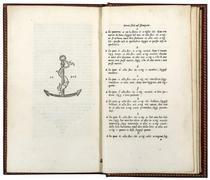 The Dialogus de optimo vitae genere deligendo was Aliotti's first humanistic work, written in 1437, and originally dedicated to the bishop of Split and future archbishop of Florence, Bartolomeo Zabarella (d. 1445). Only one manuscript of the 1437 version is recorded, found in a miscellaneous codex held at the Casanatense Library in Rome (ms. 4063). The ‘new' version addressed to Pius II was, until now, known by two manuscripts, preserved respectively in the Biblioteca Città d'Arezzo (ms. 459) and the Biblioteca Marciana in Venice (Marc. lat. XIC.180, 4467); these are evidently to be considered copies, with a few textual variants, of the newly discovered ‘original' manuscript. The manuscript's third and more lengthy text counts among Aliotti's most famous works: the De monachis erudiendis, a dialogue composed around 1439. Divided into two books, it is a manifesto for the reform of traditional monastic life, remediating the decline of monasteries encouraging studies. In 1445, Aliotti had offered this work to Pope Eugene IV in a presentation manuscript now preserved in the Vatican Library (Vat. lat. 1063). The Vatican codex is introduced by an obsequious epistola consultoria to Eugene IV, which Aliotti re-uses in the present manuscript, preceded by the short metric dedication to Pius II. His goal was, once again, to obtain a bishopric from Pius II, possibly that of Civita Castellana, in Umbria, whose then bishop Rodolfo was in a precarious state of health. Indeed, his plan to reform monastic life, transforming monasteries into veritable humanistic academies, would have been even more welcomed by Pius II, the Humanist Pope par excellence! Aliotti revised the text, corrected various scribal errors, and partially reworked the section dealing with the study of philosophy. As a result, the text of De monachis erudiendis included in the present manuscript is quite different from that of the Vatican codex. All this was, however, for naught, as the manuscript failed to have much effect; when Aliotti finally received a response to his enquiries as to the pope's reviews of his gift, it was from Cardinal Torquemada, who answered politely that the pope had obviously appreciated Aliotti's works, but could read only a few pages of the volume, owing to his “maiores et continua occupationes” (Epistolae et opuscula, II, pp. 369-370). Aliotti would have remained prior of the St. Flora and St. Lucilla monastery until his death in 1480, while this expensive, luxurious manuscript remained among the shelves of the large library the pope had amassed in his Sienese residence. In fact, the present manuscript never even entered the Vatican Library, and was inherited by his nephews, along with the greater part of the Sienese library. Pius II's books were later dispersed, and manuscripts bearing his papal coat of arms are presently scattered across various European and American libraries. G. M. Scarmagli, Synopsis Monumentorum SS. Florae et Lucillae, Archivio Capitolare Arezzo ; G. Aliotti, Epistolae et opuscola, ed. G. M. Scarmagli, Arezzo 1769; F. Ames-Lewis, “The Earliest Documented Manuscript Decoration by Francesco d'Antonio del Cherico”, The Burlington Magazine, 120 (1978), pp. 390-393; A. A. Strnad,“Studia piccolomineana. 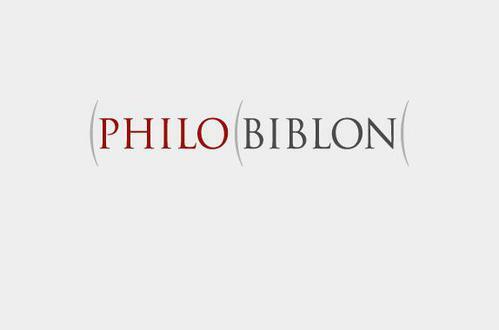 Vorarbeiten zu einer Geschichte der Bibliothek der Päpste Pius II und III”, D. Maffei (ed. ), Enea Silvio Piccolomini Papa Pio II. 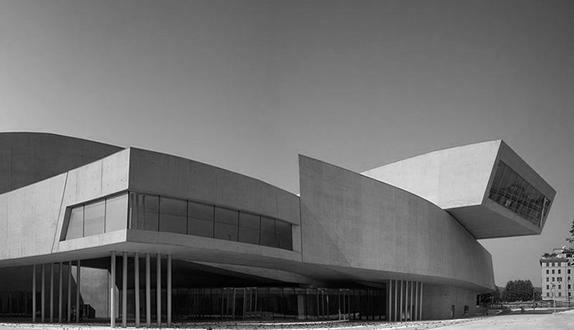 Atti del convegno per il quinto centenario della morte, Siena 1968, pp. 295-390;A. De La Mare, “New Research on Humanistic Scribes in Florence”, A. Garzelli (ed. ), Miniatura fiorentina del Rinascimento. Un primo censimento, Firenze 1985, pp. 393-600; A. Labriola, “I miniatori fiorentini”, M. Peruzzi (ed. ), Ornatissimo Codice. 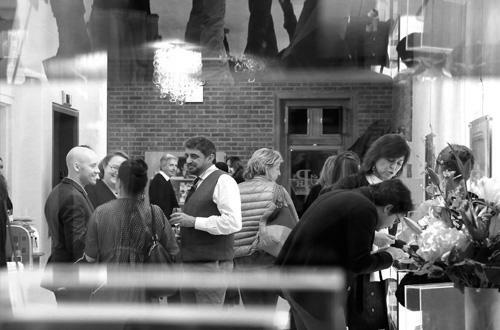 La biblioteca di Federico di Montefeltro, Ginevra-Milano 2008, pp. 53-67; C. Caby, “Réseaux sociaux, pratiques culturelles et genres discursifs: à propos du dialogue De optimo vitae genere”, C. Caby-R. M. Dessì, Humanistes, clercs et laïque dans l'Italie du XIIIe au début du XVIe siècle, Turnhout 2012, pp. 405-482; J. Helmrath, Pius II. und die Türken, Idem, Wege des Humanismus. Studien und Diffusion der Antikeleidenschaft im 15. Jahrhundert, Tübingen 2013, pp. 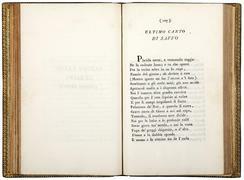 279-342; E. Tinelli, “Il De optimo vite genere deligendo di Girolamo Aliotti. Alcune osservazioni”, Archivum mentis, 2 (2013), pp. 127-150; F. Corsi Masi, “Su alcuni codici miniati a Firenze per Enea Silvio Piccolomini”, G. Mariani Canova and A. Perriccioli Saggese, Il codice miniato in Europa, Padova 2014, pp. 461-474; C. Caby, Autoportrait d'un moine en humaniste. Girolamo Aliotti (1412-1480), Rome 2018.